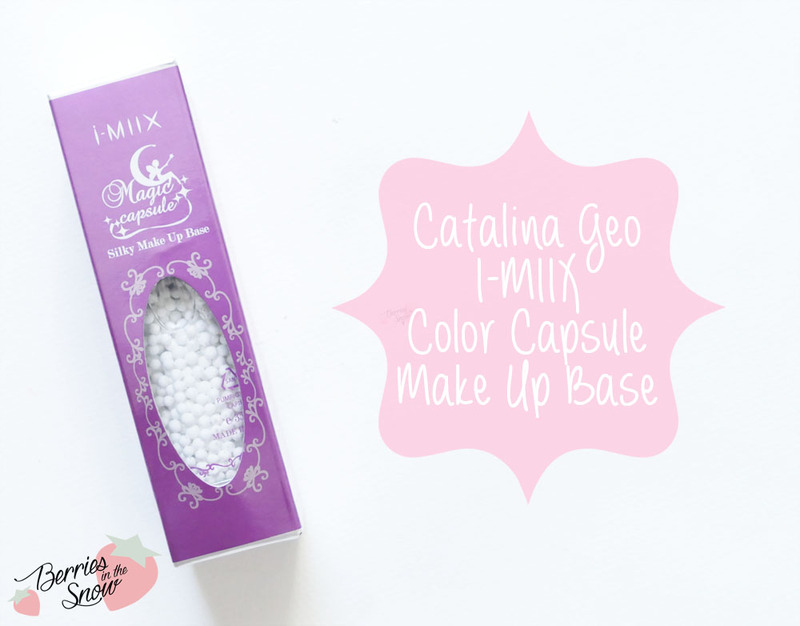 The Catalina Geo Color Capsule Make Up Base, or also known as I-MIIX Magic Capsule Silky Make Up Base, is not only prettily designed but also contains visible color capsules that contain a moisturizing and makeup-preserving essence. This is the last item for BNTnews in August, and funnily I saw that the packaging the BNT girls received was different. Some received the same packaging like I did, which is named I-MIIX and some received the packaging named Catalina Geo. I don’t know if one is the old version and the other a new one though. CatalinaGeo is a Korean brand, with quite some sub-brands. One of these is Lamy Cosmetics, of which I reviewed the Lafine Vegetable Deep Cleansing Cream yesterday. Catalina Geo imports their products into 12 countries, so if you have a look at their official page you might check out if their products are available in your country, too. Europe is not included or example, but US, Australia and a bunch of Asian countries are included. The packaging of the Catalina Geo Color Capsule Make Up Base is quite girly and magical, with ornamental design and a purple color. 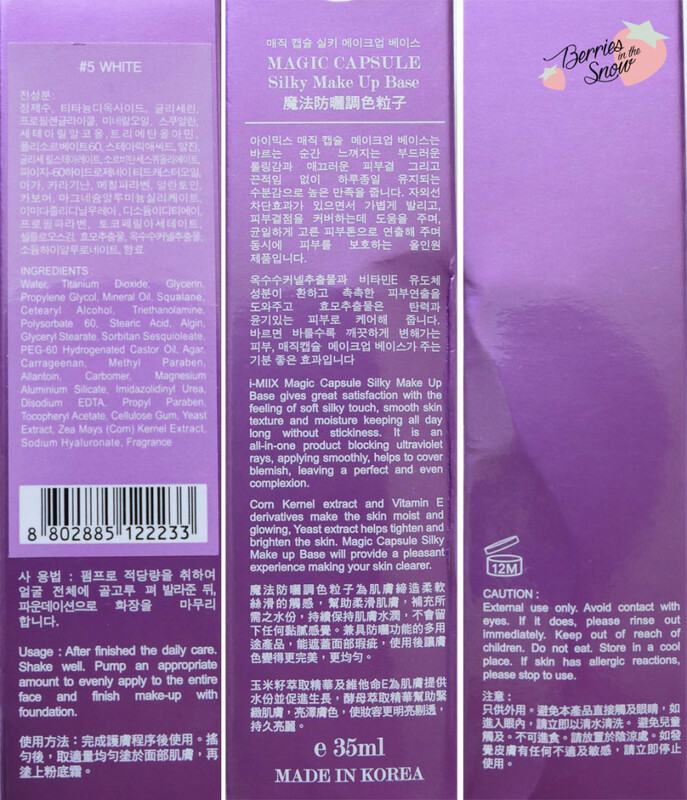 The cardboard box contains Korean and English description and the ingredients are listed on the cardboard box, too. You can find them on >>COSDNA here<<. It unfortunately contains triethanolamine and some acne triggers. If you have sensitive skin you should check out the single ingredients before using it. The description says that it does not contain oil, in order to be safe to use for sensitive skin types, but there is also mineral oil included here, which I would not recommend to use as primer for sensitive skin types. The Catalina Geo Color Capsule Make Up Base comes in a 35 ml pump bottle. You can see the white colored pearls inside a clear liquid through the bottle. Apart from the white color there are other colors available, too. There are five colors in total: purple, green, pink, blue, and white. This Make Up Base fixes skin’s tone, protects from UV rays and improves skin’s natural color. In order to use the Catalina Geo Color Capsule Make Up Base you have to shake it first. One pump is enough to cover my face. 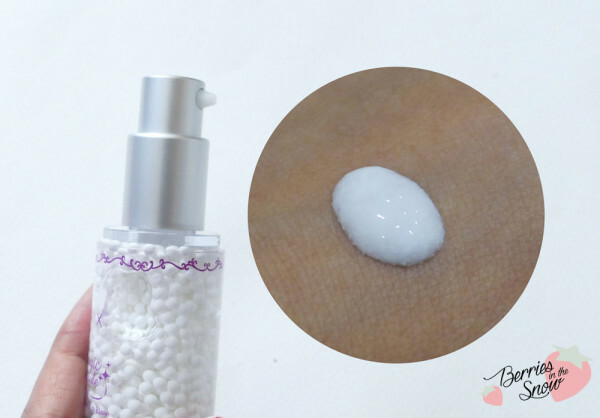 The pump crushes the pearls and you will receive a white colored mixture of the capsules and the clear liquid. The more you shake before you pump, the better the two phases will combine. After comparing it on my face before and after using it, I must say that I do not see much difference. The skin looks a bit brighter, but the moisture level and the dewiness stays the same compared to my usual skincare routine. 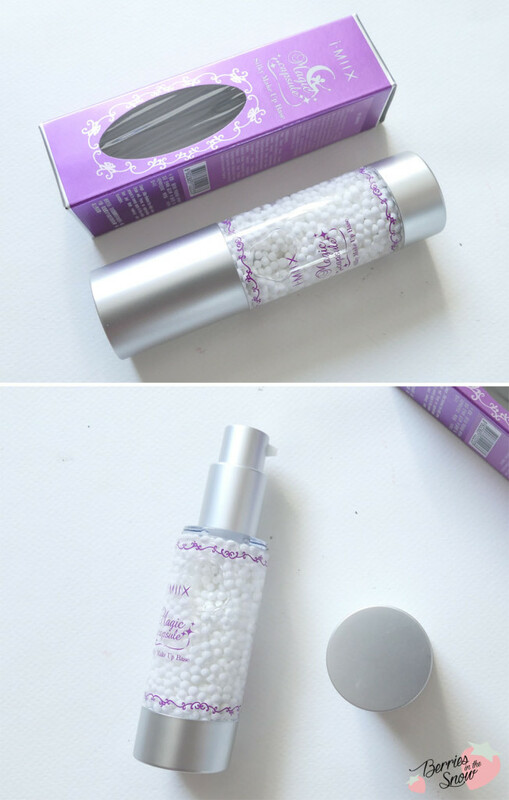 It does not make lines disappear, nor does it reduce the appearance of pores. 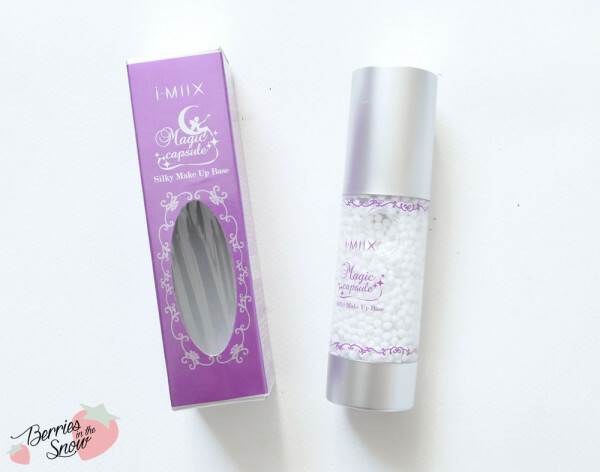 I find primers like the Lailly 7 Second Make-Up Booster do have proven as better suitable primers compared to the Catalina Geo Color Capsule Make Up Base. I didn’t see any differences in the longlivity of my make-up either. Catalina Geo Color Capsule Make Up Base is a pretty designed capsule make up base, but out of the four products I received from BNTnews in August this is my least favorite. I simply cannot see any major differences this base provides. Maybe it doesn’t work with my skincare routine, or with my skin type, I’m not sure. I would also love to know if any of the other color capsules are better suited for my skin. Here are the official descriptions for the product: worldwide an australian. The price of 45 AU$ (38 US$) is quite high in my opinion, so I would not repurchase it personally. I think it is pretty hard to find. On the official page only three colors from the 5 available were listed…so I’m not sure if these are new. I prefer the packaging I received to this one, I think it looks more expensive somehow! And I thought my instructions said NOT to shake it haha, maybe I misread it, I should check it again. After a while of continuous use, I think I actually like this one! Sometimes I wake up with dry skin (I don’t wash my face in the mornings) and just use this before makeup and it’s quite hydrating and it brightens any redness. Sorry that it didn’t work out for you though. Maybe one of the coloured ones would have worked better! I agree. Your packaging looks much more mature and luxury than this one :D strangely, this packaging says to shake it, but on the official page (where you can only find three of the five BNTnews send out) they say NOT to shake it. How did you keep using yours finally?